Jakarta, a bustling Southeast Asian city, is more famous for its nickname as the ‘The Big Durian’. And just like the king of fruits, one will find Jakarta overwhelming--- in good and not so good ways. In December 2008, Population and Civil Registration Agency data showed a total of 49,000 foreign nationals with extendable visit permits and 5,000 permanent residents are living in Jakarta. It is the largest and the most populous city in Indonesia and in Southeast Asia with over eight million people with a population density of 33,559 persons per square miles. Economic growth in Jakarta is upbeat, mainly due to the rise of export and import activities, posting a significant growth. The city's non-oil exports include diamonds, knitted goods, non-knitted clothes, machines or electronic products, soaps, and sanitary products. Jakarta's partner export is primarily the ASEAN (Association of Southeast Asian Nations) countries. The city of Jakarta is the seat of government and the centre of banking and trade, which makes it the major contributor to the Indonesian economy; major industries include financial service, trade and manufacturing are housed here. But Jakarta's economic growth comes with a cost as Jakarta, along with other megacities, is beleaguered with air pollution. Walking or biking in traffic-congested areas is not advisable. And with the hot and humid weather, visitors and expats must wear comfortable and light clothing when going outdoors. Jakarta is divided into five kota or kotamadya (cities) - Central Jakarta (Jakarta Pusat), West Jakarta (Jakarta Barat), South Jakarta (Jakarta Selatan), East Jakarta (Jakarta Timur), and North Jakarta (Jakarta Utara). 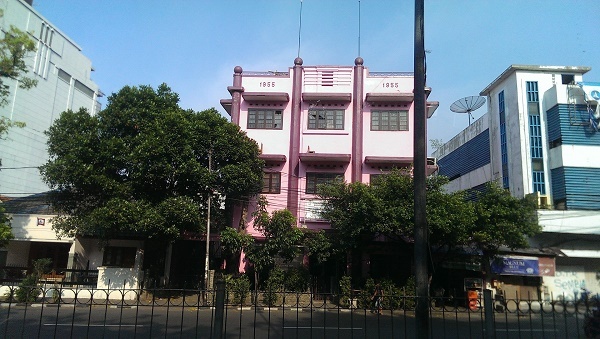 Menteng is one of the oldest yet most prestigious neighbourhoods in Jakarta. 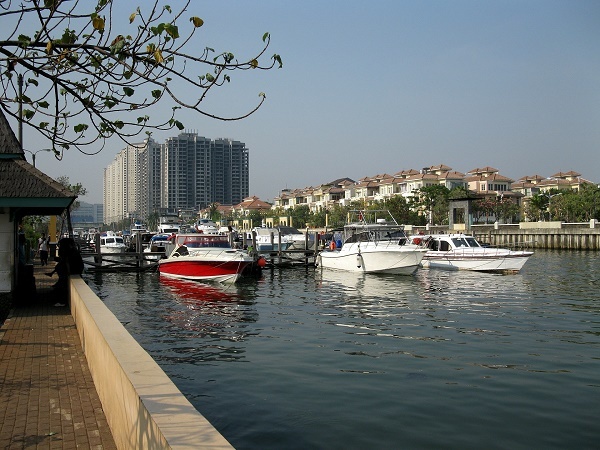 Pusat is more known for its proximity to the business district and the colonial era mansions. West Jakarta acts as Jakarta's Chinatown, wherein expats can find museums, trading centres, nightlife clubs and pubs and shopping malls. Kemang is a popular expat neighbourhood in Jakarta Selatan and the home of some of the finest international schools. Although Kemang experiences daily traffic congestion, one will find beautiful homes tucked between its narrow streets. Indonesians are friendly and polite people; a handshake is customary when being introduced. Locals address women of the same age as "mbak" and men as "mas" while adults are addressed as "pak" for men and ‘ibu" for women. As the capital of the most populous Muslim nation, women expats are advised to dress modestly and observe dress codes, especially in places of worship. Jakarta is under heavy security due to the recent high profile terrorist attack in 2009. Expats in Jakarta should exercise caution at all times and follow the basic safety precautions. At the end of the day, after a gruelling encounter with the gridlock, Jakarta remains a city filled with surprises with an enchanting local culture and a thriving economy. Those who dare to delve into Jakarta's smoggy surface and myriad layers will find a bewildering city of character. Jakarta is the capital of Indonesia well known for having a massive population and bustling metropolitan. Over the years, the number of its inhabitants keeps on piling up because of expats and migrants from all over the world who are searching for a better life abroad. Many job opportunities are arising in the city’s leading industries like telecommunications, IT and education where English teachers are currently in high demand. Heavy traffic and hot, humid climate are also few of the things that you should prepare yourself to endure once you arrive in Jakarta. But despite its hectic and fast-paced vibe, Jakarta is overall a beautiful place to live in especially because of its rich culture and budget-friendly lifestyle if you are one of those people who are not accustomed or searching for luxury. Here are a few but helpful tips that can help you in relocating to the ‘Big Apple’ of South East Asia. Housing for expats working in Jakarta is usually prepared by their employers, but if you do not have this type of benefit, you should start preparing even before you relocate. Many online portals contain real estate advertisements in the city including their locations and prices. You can browse through these websites to gain some knowledge about what to expect in Jakarta’s housing market. There are also local realtors that you can contact once you arrive. Hiring one of these brokers/agents can make your search faster as long as you tell them specifically what type of property you are looking for. The regular monthly cost of your utilities in the city such as water, electricity, gas and garbage collection is €85. You can apply for other services like an internet connection which can cost up to €25 per month and mobile connection where local prepaid calls are charged €0.15 per minute. Buying a property in Jakarta is considered to be expensive that's why more expats choose to rent either in houses, apartments or villas. There is short-term or monthly basis type of agreement or you can opt for longer lease which is usually six months up to one year. Central and South Jakarta are the most popular expat neighbourhoods where you can enjoy the convenience of living near the business hub or schools. The average cost of apartments in these areas start at €500 per month for a one bedroom unit and €1750 for a three bedroom flat. You can also find accommodations on the outskirts where a one bedroom apartment is around €300 monthly and a three bedroom unit is roughly €650 per month. International schools have always been a top choice for expats abroad when it comes to the education of their kids. The tuition fee for these institutions in Jakarta can be very pricey so it's best that you talk to your employer about the educational assistance as part of your relocation package. You can check the Jakarta International School where they are following the International Baccalaureate Program (IB) in their curriculum. Education is mandatory for up to nine years where at least one year of Indonesian language study is required to graduate from high school. The regular school week is from Mondays to Fridays between 7:30 am to 2:40 pm. One of the most prominent local schools in the city is the Jakarta State University, which has been providing quality education since 1964. Many international shipping and removal companies provide door to door service to Jakarta. You can call them to pick up your packages, and they will take care of the whole moving process until your belongings are safely delivered to your new home. The average transit time it takes for the containers to arrive in the Port of Jakarta is between 34-60 days which will still vary depending on your country of origin. To learn about the city’s import regulations, click here. There is a quarantine period of up to 14 days for all animals entering Jakarta where they will be tested for H3N2. If the result is positive, the pet will be euthanized to avoid an outbreak since there is no current cure for this virus. Your pet needs to have an import license from the Director of Animal Health and a Health Certificate for Indonesia which is completed by a licensed veterinarian from your home country. Buses, trains, ojeks (motorcycle taxis), and Bajaj are the most common types of public transport in Jakarta. There are no monorails or subways in the city that’s why all vehicles are on the road which makes the traffic very heavy especially during peak hours. You also have the option to hire a private driver and car which is cheap. Unfortunately, you can not import a vehicle to Jakarta unless you are diplomatic personnel with a PP-8 status. This city can give you a culture shock once you arrive but once you get used to its busy lifestyle, you will eventually see that Jakarta is an incredible exotic city with colourful history. Jakarta is the capital and biggest city of the Republic of Indonesia. Tagged as the “Big Apple” of Southeast Asia, foreigners may find it enticing to live in the city as it is the economic, political and cultural centre of the country. Expats that are bound here can expect a life filled with excitement and one-of-a-kind experiences. With a total population of ten million, Jakarta was hailed as the most populous city in South East Asia in 2016. Though the capital of Indonesia has been showing remarkable economic and commercial growth, expats will soon find out that this place can be noisy, polluted and congested. Jakarta also fell in the 172nd place on the 2016 Mercer Quality of Living Survey when it comes to personal safety due to the previous threats of terrorism. However, this city is still a great destination for expats because, in reality, Jakarta is a place where security is now a high priority, exotic means beauty and culture is at its finest. The weather in Jakarta is in extremes whereas it could be too hot, too humid or pouring out with torrential rains. But, this should not stop expat parents in letting their kids enjoy the wonderful city. There are loads of activities for children to try when living in the city. Outdoor activities are of course available such as hanging out at the Dunia Inline Skate Park which is located inside Taman Mini. Kids and their lovely expat parents may also have their breakfast picnics and exercise there. Another is the amusement park called Taman Legenda which has a Ferris wheel, Water Park and a carousel among others. Aside from the high-end fitness centres, there are also lots of places in Jakarta to enjoy one’s beloved sports. Golf is the primary leisure activity of the upper classes in this city and those coming from Western countries will be glad to know that playing this game here will only cost them at least RP 60,000 or USD 850 during the weekdays. Adrenaline junkies, on the other hand, should visit the drifting circuit on top of the Mal Artha Gading (MAG) Shopping Mall. Since Jakarta is a powerhouse in badminton, expats who dig this sport can head to the Senayan Complex, a well-known sporting environment in the affluent residential area of South Jakarta. The traffic in Jakarta could be very problematic. Up to this moment, the Jakarta administration is still in the works of implementing an advanced public transportation system. Foreigners who are living in the city may treat this as a sigh of relief since it is already under construction. To stow away from the hassle of getting around by car, expats may consider riding a Bajaj, becak and all other rickshaw-type vehicles. The good thing about opening a bank account in Jakarta for expats is that they have the chance to decide whether they want it in Rupiah or US Dollars. Indonesia also allows foreigners to retain the bank accounts they have back home. Although, it is important that they advise their employers about it to make arrangements on whether to deposit their salary on the offshore bank or have it in Rupiah. Some of the known banks in Jakarta are Mandiri Bank, Bank Central Asia, branches of Standard Chartered Bank, Citibank and Hongkong Shanghai Banking Corporation (HSBC). Jakarta can be overwhelming to expats given its massive population of over 10 million. Also, due to the overloading population, pollution has also become an ongoing problem in the city. Expatriates may find it difficult to adjust to their lives in the city as poverty is visible and there are more slums rather than modern buildings. In contrast, the city is home to such friendly people and safe neighbourhood which may help alleviate the expatriate’s culture shock. Indonesians are known for being relaxed and flexible with time. They don’t put much emphasis to rush and live by their much-practised phrase ‘Jam Karet’ which means ‘rubber time’. Jakarta or let's say Indonesia as a whole also implements strict laws against the use of illegal drugs. Those who will be caught using, in possession or trafficking drugs will face penalties such as deportation, life imprisonment or at worst, a death sentence.